After Day 1a of the 2016 Western New York Poker Challenge Main Event, Alex Visbisky led the way. The 2016 Western New York Poker Challenge Main Event drew 103 entries for its first of two starting flights at the Seneca Niagara Casino on Friday. This marked the first time a Western New York Poker Challenge Main Event Day 1a had drawn over 100, and after 15 levels of play, exactly 20 players survived through to Sunday's Day 2. Greg Miller built a huge chip lead in the day's 11th level after a hot run of cards and at least one gift, cruising towards bagging a 291,500-chip stack when it was all said and done. As the day wore on, James Morin appeared to be a contender before he got cooled off, six-bet shoving kings into Alex Visbisky's aces. The aces held and when the dust settled Morin hit the rail and Visbisky moved into a dead heat for the lead with Miller. 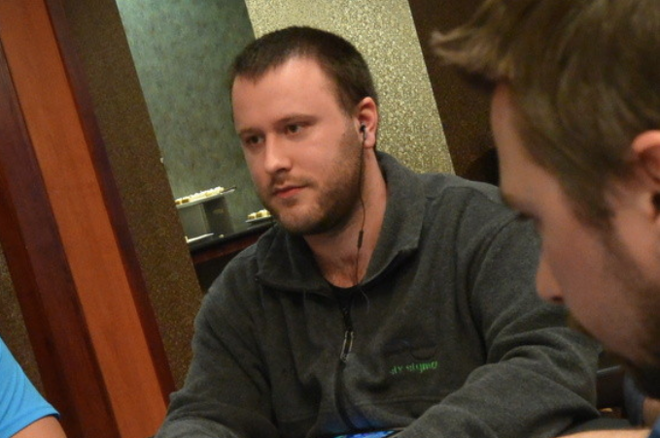 In the end, Visbisky, who led the final table of of the 2015 Seneca Fall Poker Classic Main Event this past November before ultimately finishing third, bagged the healthy chip lead again with 358,500. Other local heroes who will return for Day 2 include Dan Wagner, Rick Block, Bob Keihl, Pat Tighe, and Andy Ranaletti, while perennial threats including defending champ Buck Ramsay, Cameron Bartolotta, Blake Napierala, and Alex Rivera were all felted. While today's survivors will all return Sunday to contend for the title and big stacks of cash, another group will get going when the second and final starting flight for the 2016 Western New York Poker Challenge Main Event kicks off Saturday at 11 a.m. local time. And this one's expected to be even bigger as the event appears poised to smash its $200,000 guarantee. Tune in then to follow all the action live on PokerNews.